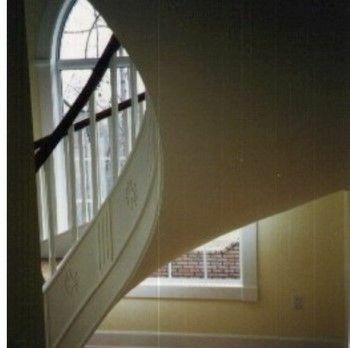 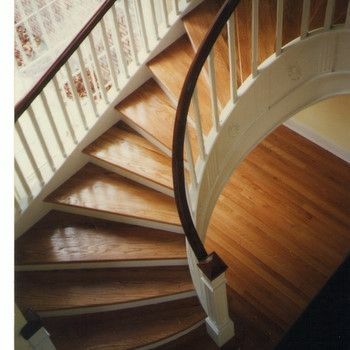 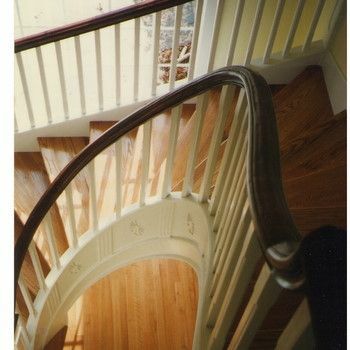 Classic Open Under Radius Staircase features radius custom millwork. 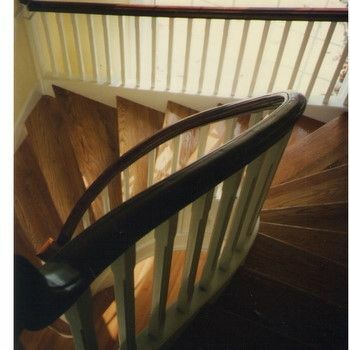 Handrail is of red oak in a traditional pattern. 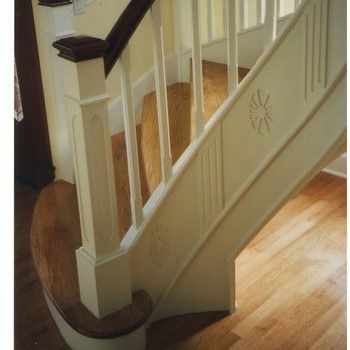 Painted balusters of poplar.Custom moulding on stringer. 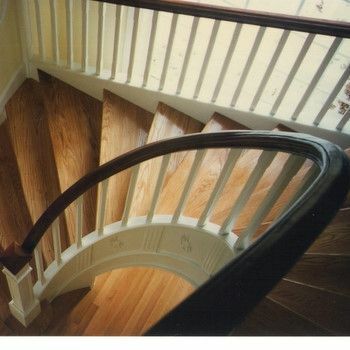 Dimensions: minimum footprint depending on radius and height.